Just like last summer, I'm finding kimonos and shorts are a frequent go-to option in the heat. 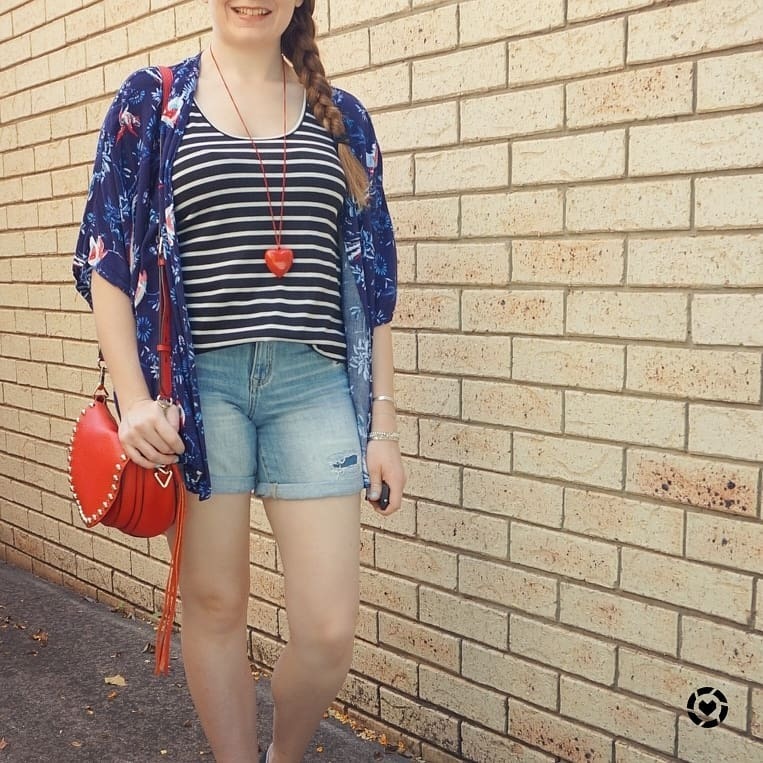 To mix things up a little, I tried some print mixing, adding floral print kimonos on top of the striped tanks. 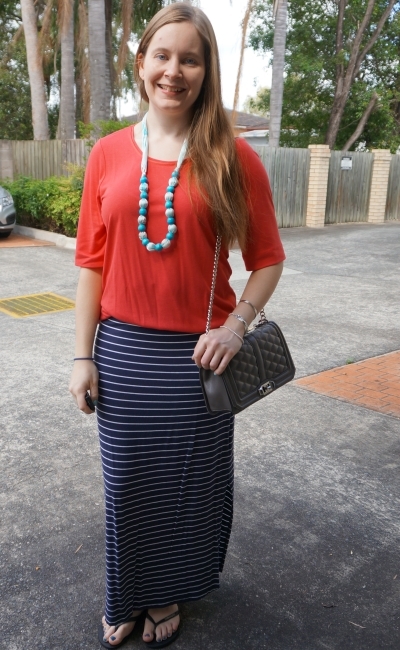 I always love print mixing with stripes, they just go with everything. Wore this for a very hot and humid day! We took the boys to the Bayside steam railway again. It's a huge set of miniature train tracks and you get to sit on the carriages of mini steam trains and zip around the tracks. One of the safety requirements is closed in shoes, so I wore my Converse despite the humidity. The striped tank looked great worn just with the shorts alone, but I wanted to cover up my shoulders a little as it was such a sunny day. Like last time we went to the steam railway, I added a kimono on top. This one was a lucky thrift find. I always look in opshops for kimonos but over the years this is the only one I've found! 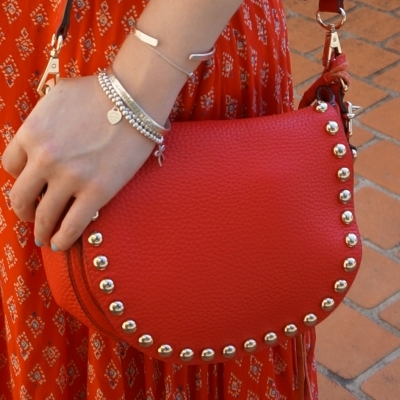 With the red birds in the print, the red Rebecca Minkoff saddle bag seemed like the perfect accessory. Despite the small size, it comfortably held the essentials and the boys water bottles so I had them handy as we went for rides on the train. Turns out that sitting on the back of a tiny train as it steams through the trees creates a lovely cooling breeze too, it was such an enjoyable morning. After riding on the trains, we walked over to the nearby park to let the boys run around a bit more, but the heat quickly sent us back home to cool off in the air conditioning! 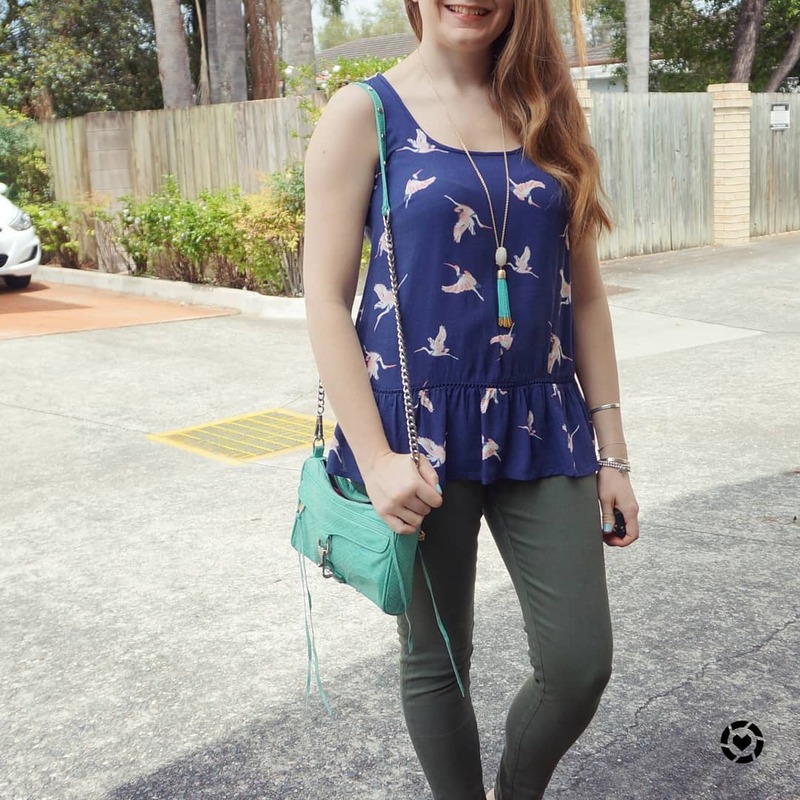 Last worn: floral and bird print kimono, red heart necklace, black striped tank, distressed denim shorts, Converse, Rebecca Minkoff saddle bag. 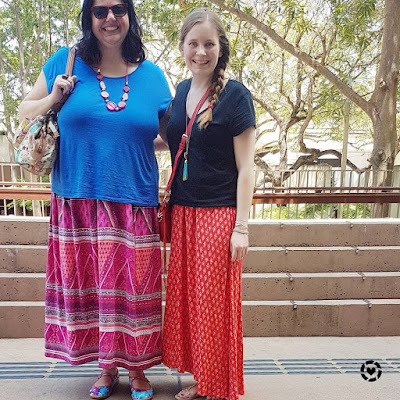 Other ways to wear: floral and bird print kimono and maxi dress, black striped tank and maxi dress postpartum, distressed denim shorts and grey knit, Converse and pencil skirt, Rebecca Minkoff saddle bag worn 30 ways. Perfect for pregnancy: Converse for second trimester travel. Taken the last time we visited! 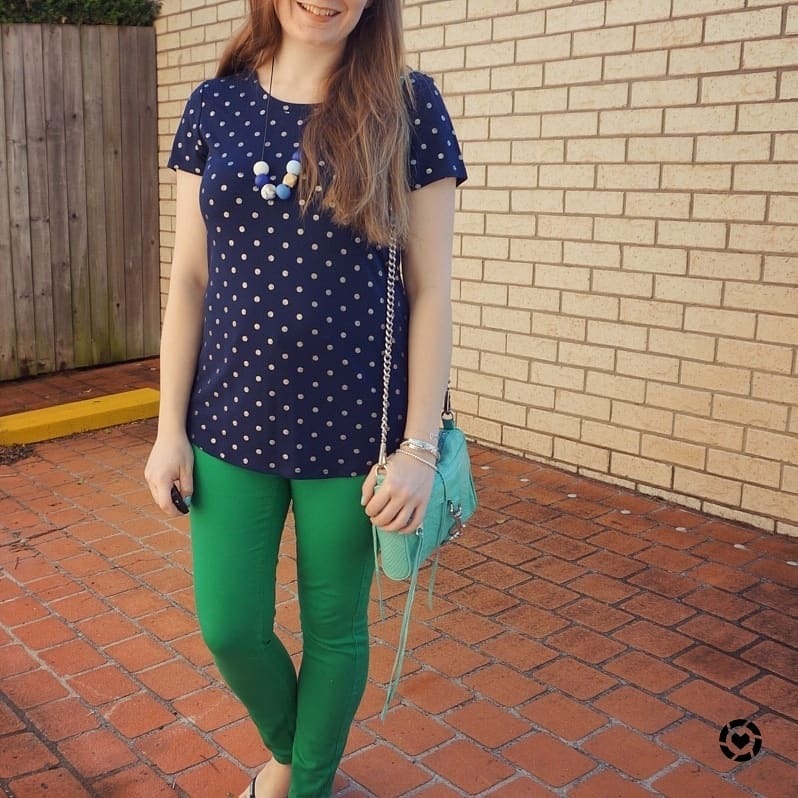 Despite having the same outfit formula as what I wore above, I didn't like this outfit as much. 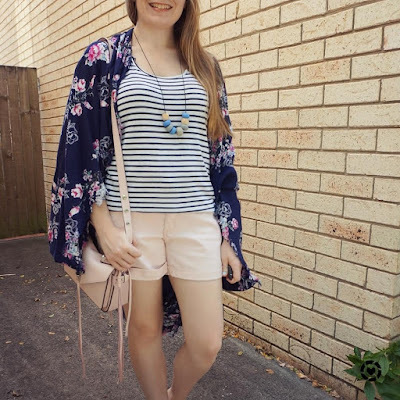 I love all of the pieces on their own, this is one of my frequently worn kimonos and you can't beat a classic white striped tank! I just felt it all looked a little off together. I did like how comfortable this was for a morning out with the boys though. We went to the local library and they played a bit in the playground before lunch. I didn't hate this outfit - there were some things about it I really liked, like how well the pastel pink shorts went with the Rebecca Minkoff peony Darren messenger bag! I will definitely be wearing those two pieces together again! Last worn: floral cocoon kimono, striped tank, beaded necklace, pastel pink shorts, Havaianas, Rebecca Minkoff small Darren bag. Other ways to wear: floral cocoon kimono and flares, striped tank and maxi skirt, pastel pink shorts and leaf print tank, Rebecca Minkoff small Darren bag with a dress. Perfect for pregnancy: floral cocoon kimono in third trimester, striped tank in second trimester. 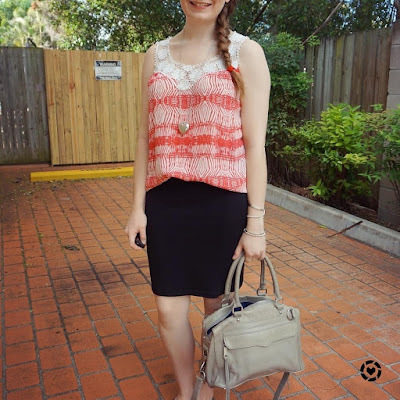 Stripes and florals are so fun to wear together! 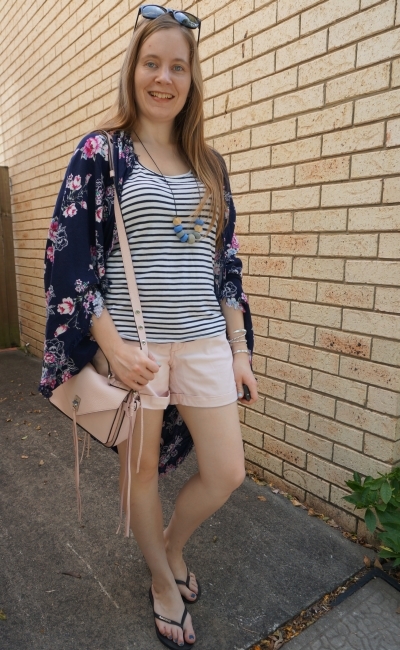 A colourful floral kimono is such an easy piece to add to a summer shorts and striped tank outfit too. 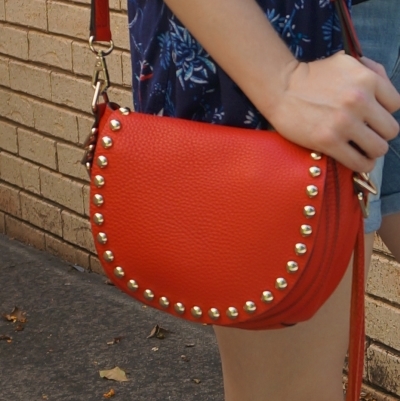 It doesn't overheat you but allows you to add more colour and interest to what you're wearing. A basic striped tank is a must have piece you can wear so many different ways. Linking up with Fabulous Friday. 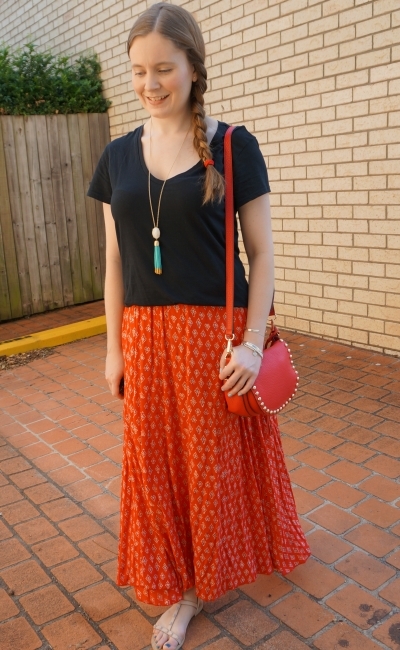 You can add scarves to warm weather outfits by thinking a little differently about how you wear them. While these two scarves are very different, they are both pretty shades of pink and work so nicely with these little black dresses for the office. 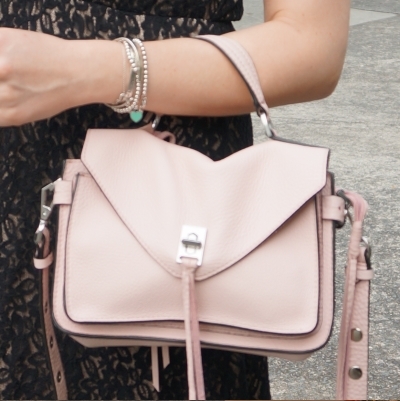 I continued the pink theme with my peony Rebecca Minkoff Darren messenger bag. 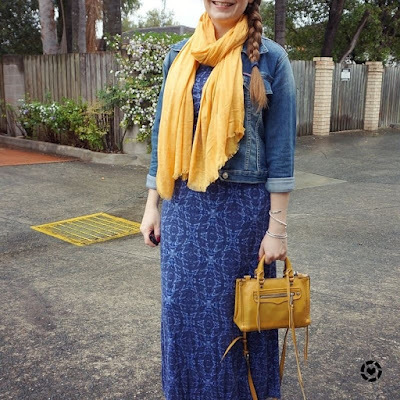 It was Melbourne Cup day so once again I broke out my Hermes twilly to tie around my hair like a headband. I did the same thing last year! This year we weren't having a big lunch like we usually do, just a few snacks to watch the race. I was stuck working on an urgent issue and missed the race and the snacks. 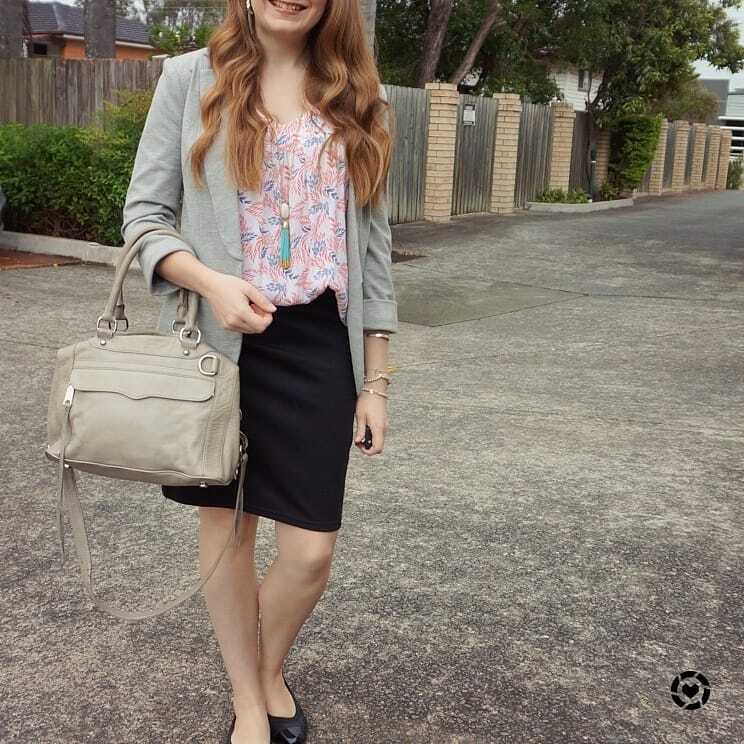 I wanted to feel a little more dressed up than usual for the occasion - you see so many people wearing the prettiest dresses around the office and in Brisbane on race day. 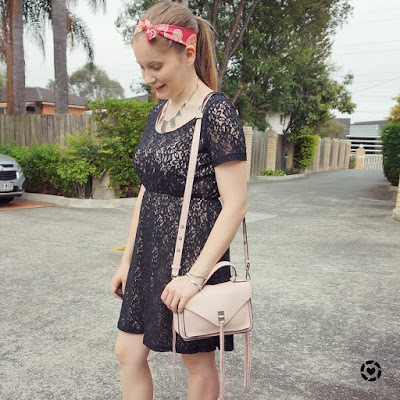 This little black lace dress which sometimes seems too dressy for work was the perfect piece to wear. I really liked the way the peony pink Darren bag worked with the lace on the dress too. Was good to give this dress another wear, it's one of the little worn pieces in my wardrobe, last worn a year ago! 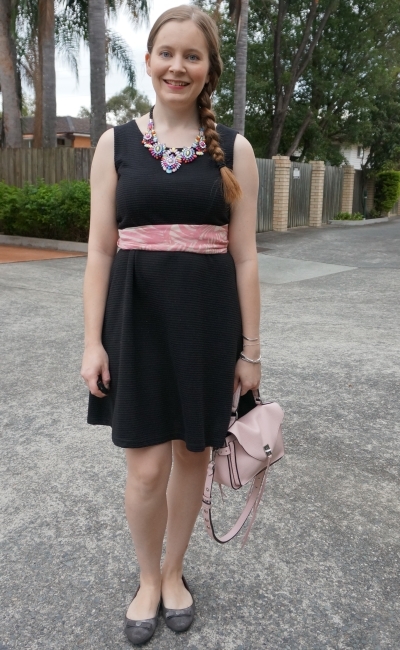 Last worn: black lace dress, Hermes twilly, House of Harlow necklace, Walnut Melbourne flats, Rebecca Minkoff Darren bag. 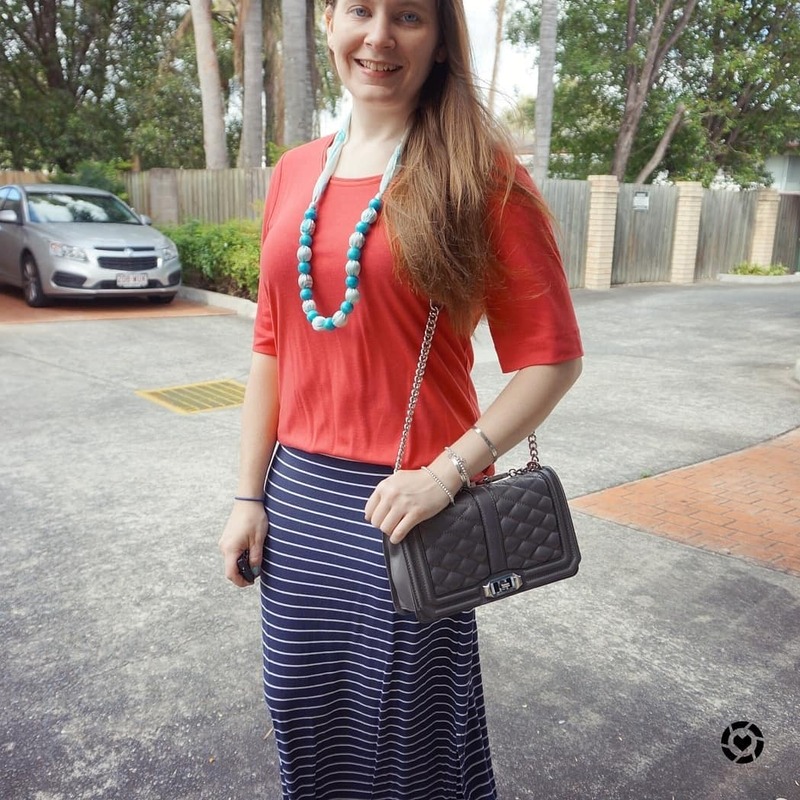 Other ways to wear: black lace dress for a night out, Hermes twilly worn two ways, Walnut Melbourne flats and pencil skirt, Rebecca Minkoff Darren bag with stripes. Perfect for pregnancy: black lace dress in third trimester, Hermes twilly in second trimester, Walnut Melbourne flats in third trimester. Unlike the lace dress above, this classic fit and flare dress is frequently worn to the office. It's the perfect style and length and always looks good! Sometimes I like to wear a belt with it. 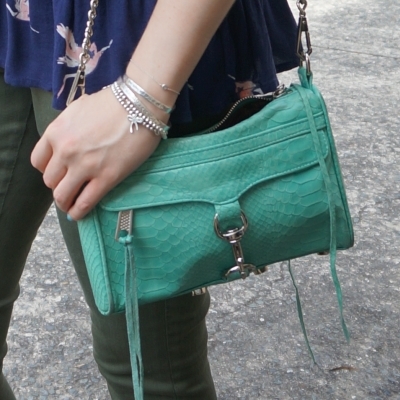 I decided to try something a little different with my leaf print scarf and tied it as a belt around my waist. I folded the scarf over a few times, wrapped it around, and then tucked the ends back into the scarf at the back. As the dress is a thick ribbed ponte fabric, it held in place perfectly through the day. Last worn: black fit and flare dress, leaf print scarf, statement crystal necklace, silver ballet flats, Rebecca Minkoff Darren bag (above). Other ways to wear: black fit and flare dress in winter, leaf print scarf and skinny jeans, silver ballet flats and purple jeans, Rebecca Minkoff Darren bag with peplum tank. Perfect for pregnancy: black fit and flare dress in second trimester, silver ballet flats in third trimester. A little black dress is a frequently recommended style staple. It is a classic piece to have for work. 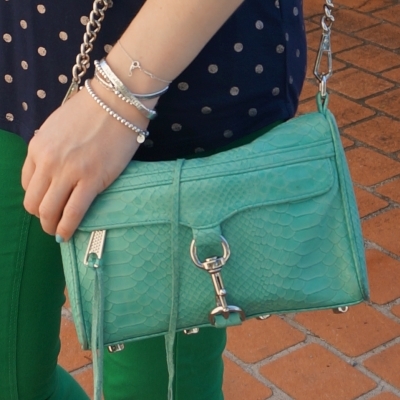 It's easy to change it up a little each time you wear it with different accessories, and to add a touch of colour. 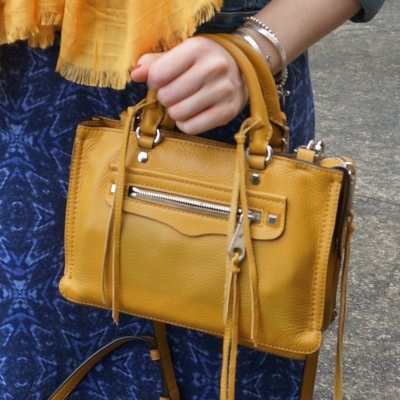 You can stick with a colourful bag like I have here, or try something a little different and add a scarf as well. You can drape a scarf over your neck or try an alternative way to wear it, like as a headband or wrapped around your waist like a belt. 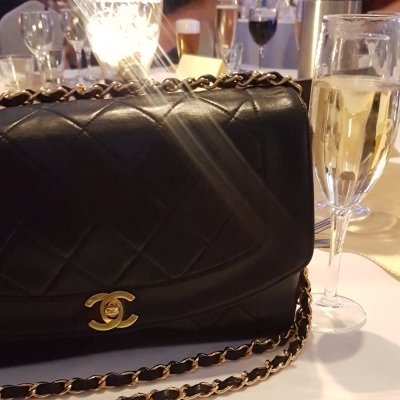 Linking up with Turning Heads, Confident Twosday, Style On The Daily, Fashion Frenzy, Oh Hey Girl, Chic and Stylish, Fashion Files. Shorts are a great option to beat the summer heat. When you want to add a little more interest to your outfit, you can always throw on a light scarf. Both of these Fashion Scarf Girl scarves are light viscose which makes them good layers to add. Of course if it's really hot and humid, you can wear a scarf a little differently like I have in the second outfit. Not the first time I've worn this scarf with olive! I really like navy and olive together. I thought the scarf was a cute completer piece to add to the outfit, as the black tank and olive shorts seemed a little flat. Last time I wore the tank and shorts together I added a kimono. Despite the hot day, the scarf was a welcome addition as we spent some time in the aircon, trying to do a little more Christmas shopping at the local shopping centre. We ended up coming home empty handed, but with ideas for things to look at further, when we didn't have the boys with us. 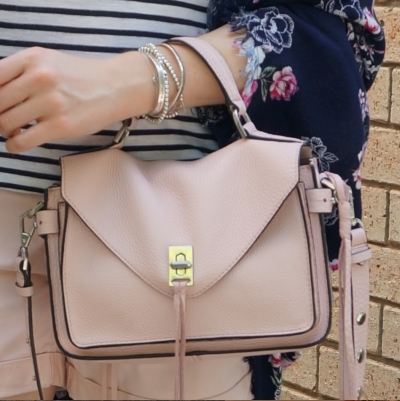 Picked my Rebecca Minkoff Love bag to wear as it's a nice neutral that goes with everything and I felt it had been a while since I last wore it. A few months actually! 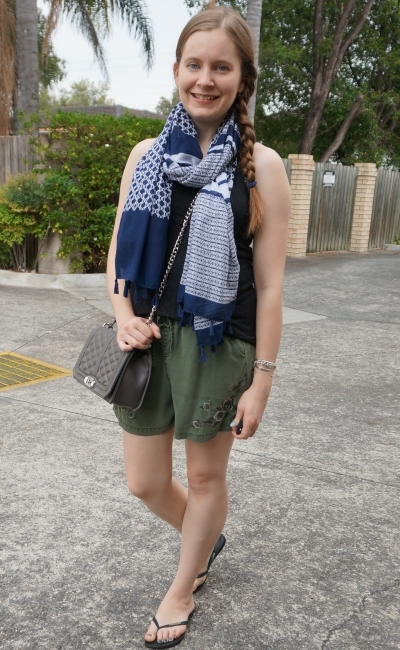 Last worn: French Connection tank, navy printed scarf, olive embroidered shorts, Havaianas, Rebecca Minkoff Love Bag. Other ways to wear: French Connection tank and maxi skirt, navy printed scarf and jeans, olive embroidered shorts and mustard, Rebecca Minkoff Love Bag worn 30 ways. 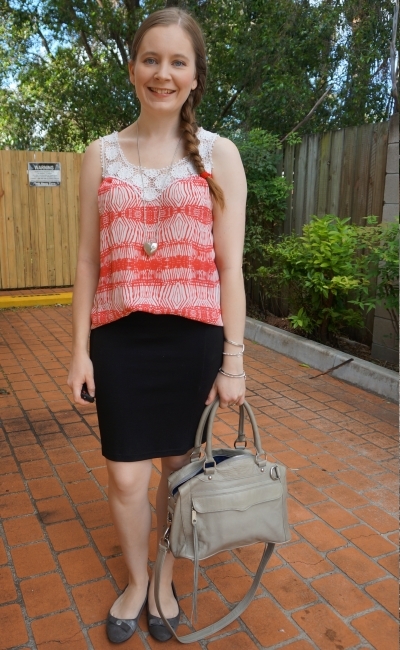 Perfect for pregnancy: French Connection tank and hidden baby bump, Rebecca Minkoff Love Bag in third trimester. 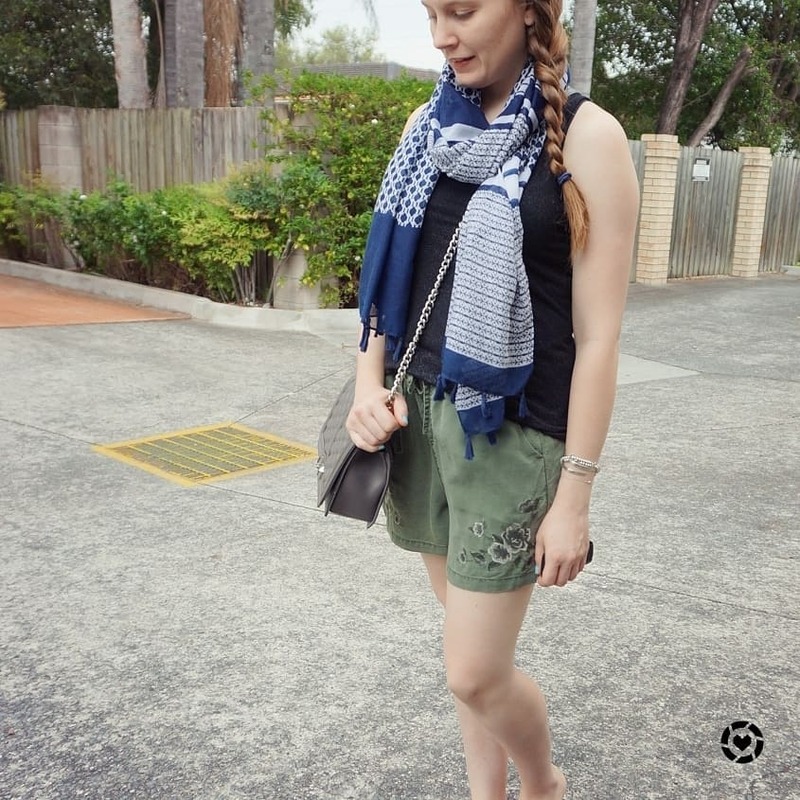 Another basic black tank and shorts outfit dressed up with a scarf. 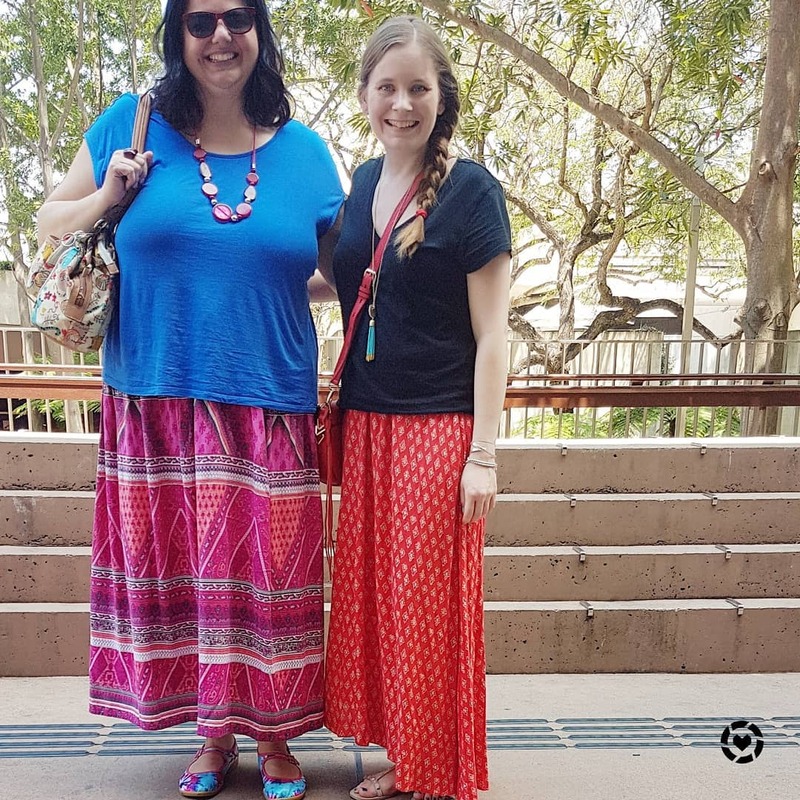 While I did spend a little bit of the day in the aircon at the library with the boys, I felt it was a bit too hot and humid the rest of the day to wear the scarf as a scarf. So I improvised and wore it as a kimono! It's not the first time I've worn a scarf as a kimono, but it's probably my favourite way I've done so. 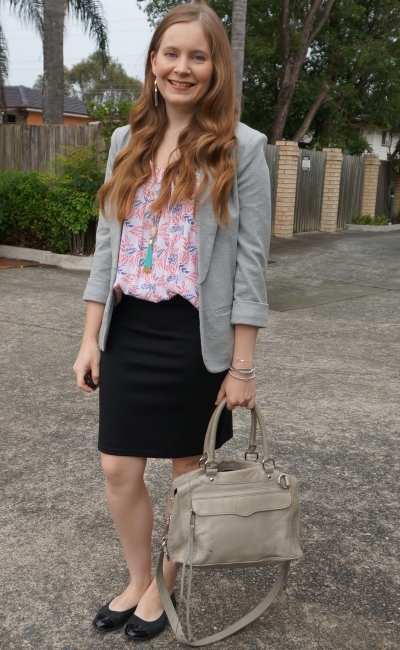 I think the pink leaf print was so pretty and a nice way to add interest to the plain outfit. Even if I did have to keep readjusting the scarf - this works a little better with square scarves instead of rectangular ones like this. Made it a nice light option for spending the day with the boys though. 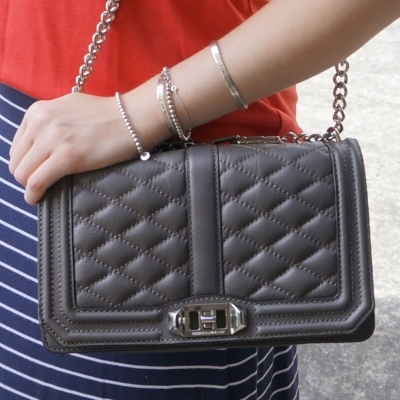 Again, I stuck with the classic grey Rebecca Minkoff love bag as it really does go with everything! 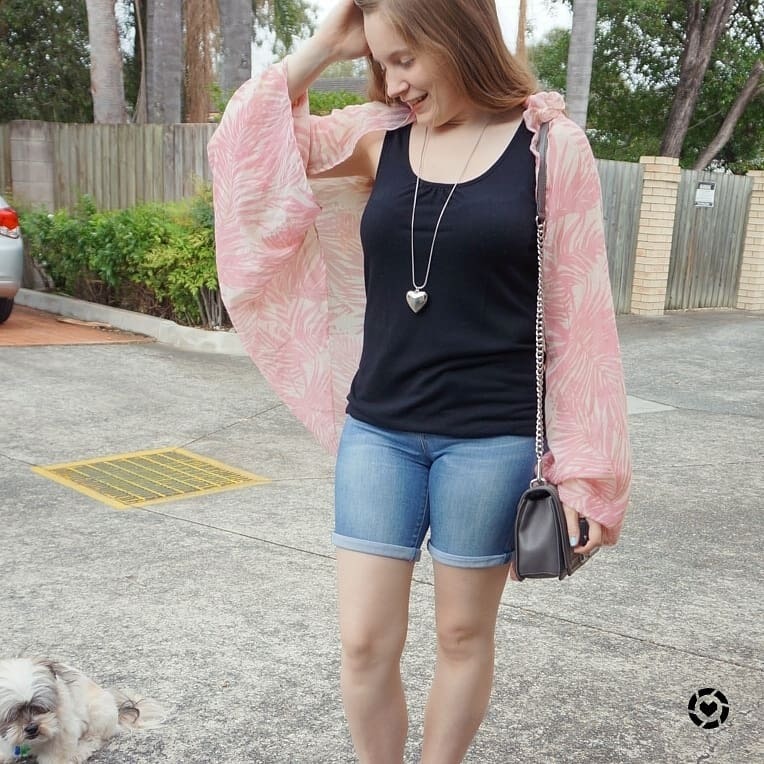 Last worn: pink leaf print scarf, black blouson tank, bermuda denim shorts, Havaianas (above), Rebecca Minkoff Love bag (above). Other ways to wear: pink leaf print scarf with black and grey, black blouson tank in the office, bermuda denim shorts worn 30 ways, Rebecca Minkoff Love bag and winter layers. A black tank is a wardrobe staple. 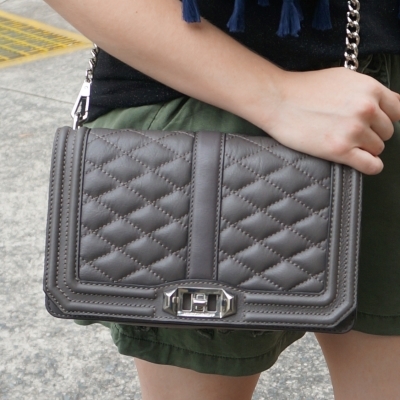 In the warmer months, it looks great with shorts, from detailed embroidered pairs to basic denim ones. 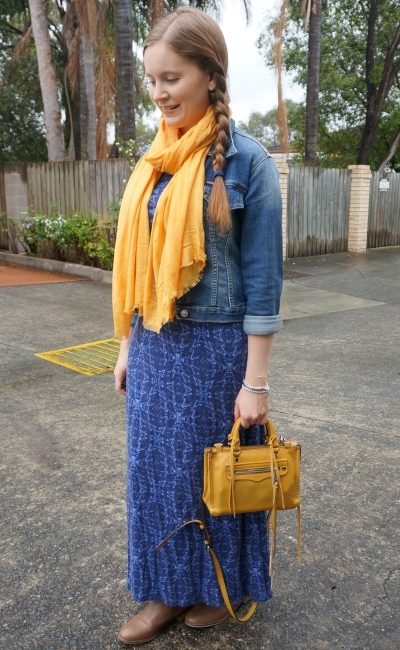 If the outfit feels a little plain, you can easily throw on a fun and colourful printed scarf. 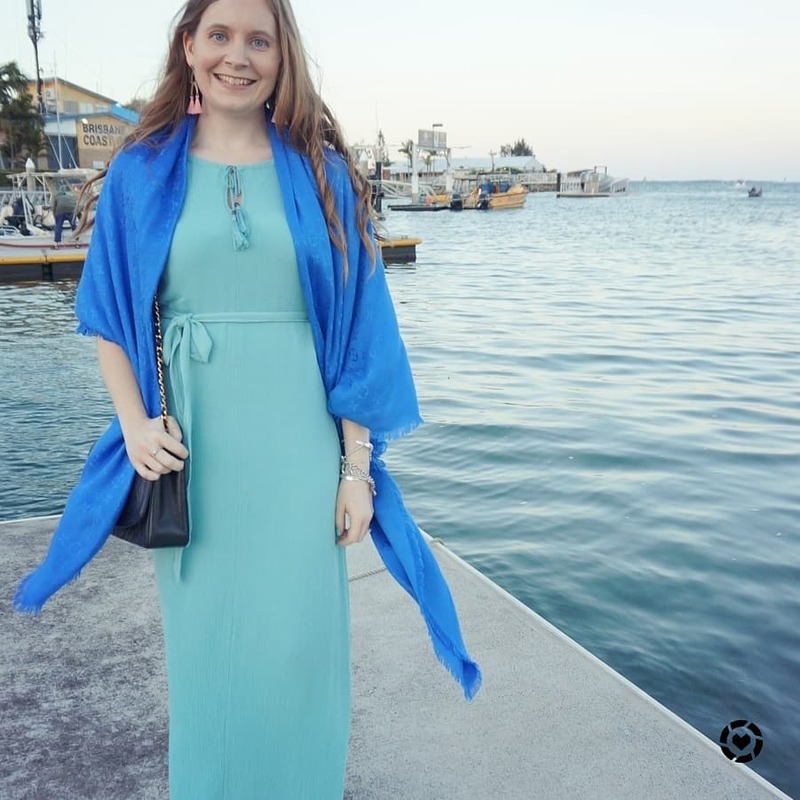 Draped loosely around your neck for a day spent in air conditioning, or tied as a kimono for a lightweight option on a day you're spending more time in the heat. 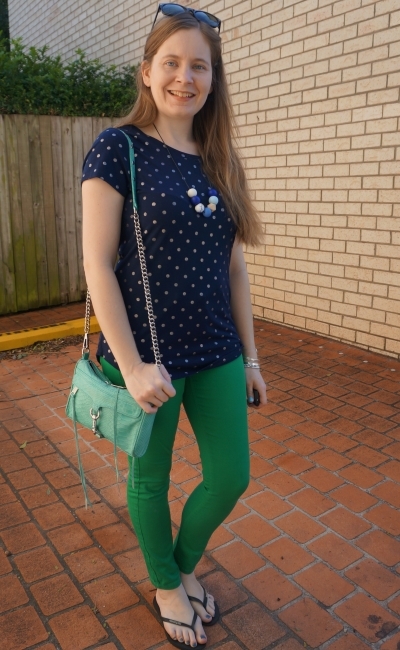 Linking up with Weekend Wear, Fabulous Friday, Flashback Fashion.